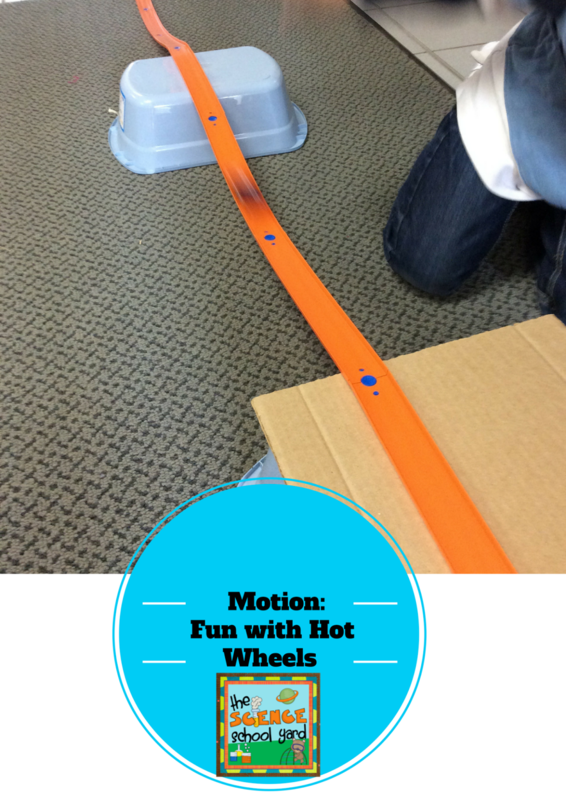 I was fortunate enough to write a grant and get a large set of Hot Wheels and tracks! 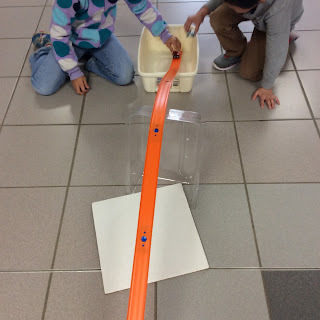 I have been finding ways for my littles to work with them as they learn about energy. 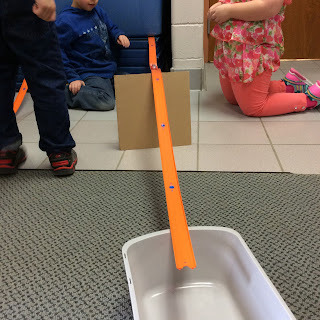 Here are some simple ways to add science into your school day! 1. Find a fun race car book. I used a non-fiction book found on EPIC books called Machines as Work: Race Cars. (Free for teachers!) I asked them what they know about cars in motion. What makes them go? What makes them stop? How do they go fast and slow? 2. I then introduce the race car book along with race car sounds in the background. 3. 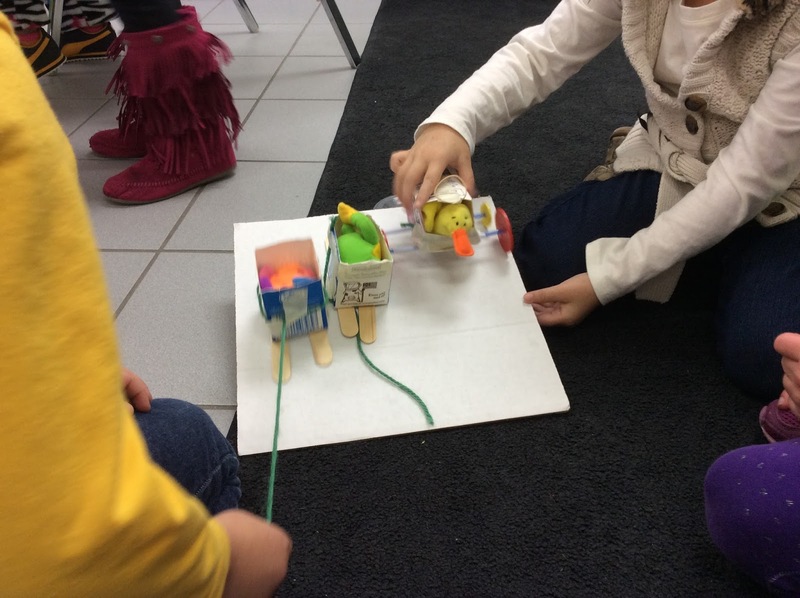 When we are done with the story, we discuss what we will test as we build and create. *What do we observe when our car is pushed slowly? *What do we observe when our car is pushed fast? *What happens when two cars collide? *What happens when a car goes up and down a hill? *How can we show that gravity is working on our cars? 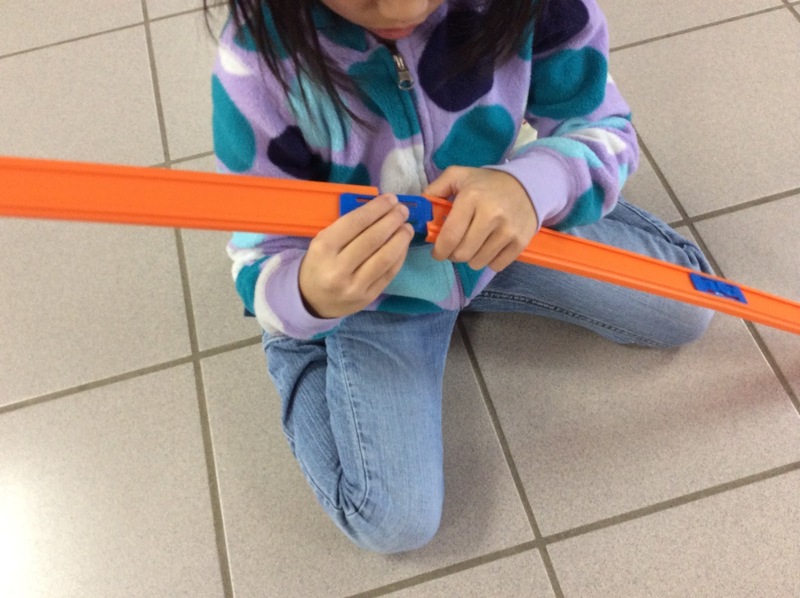 *How can we show that force is a push and pull? 4. We then go in the hall to do our experiments (can't do much in a teacher's lounge classroom...just no room). 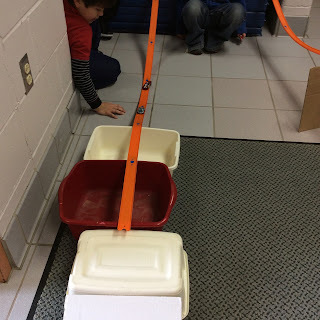 I let each team get two buckets, two cars, two cardboard pieces, and 6 tracks with connectors. Time to observe what others learned! 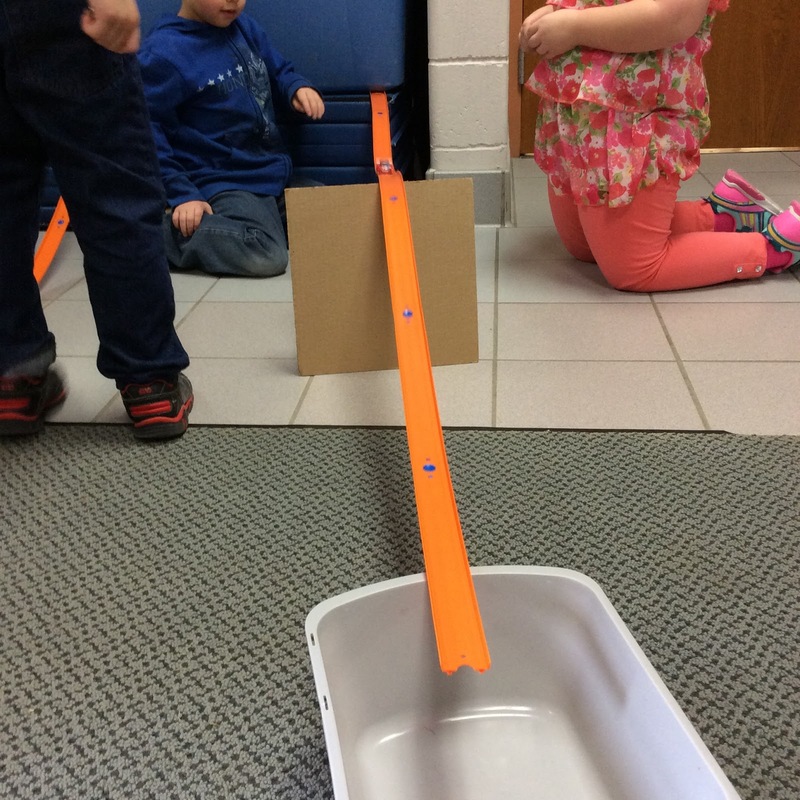 This is what is driving us...my STEM Force and Motion Pack on TPT! 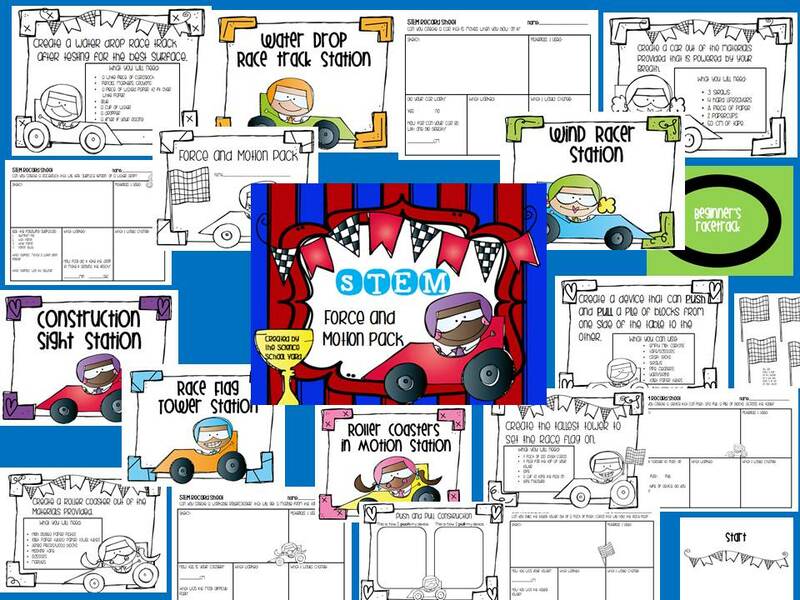 Drive on over to my TPT store to take a look! I know not everyone has Hot Wheels, but I will leave you with one final thought...you can use simple supplies to help your kiddos build their own race cars! It will drive them crazy with excitement! Milk cartons, string, wheels, straws, tongue depressors all make great car parts! 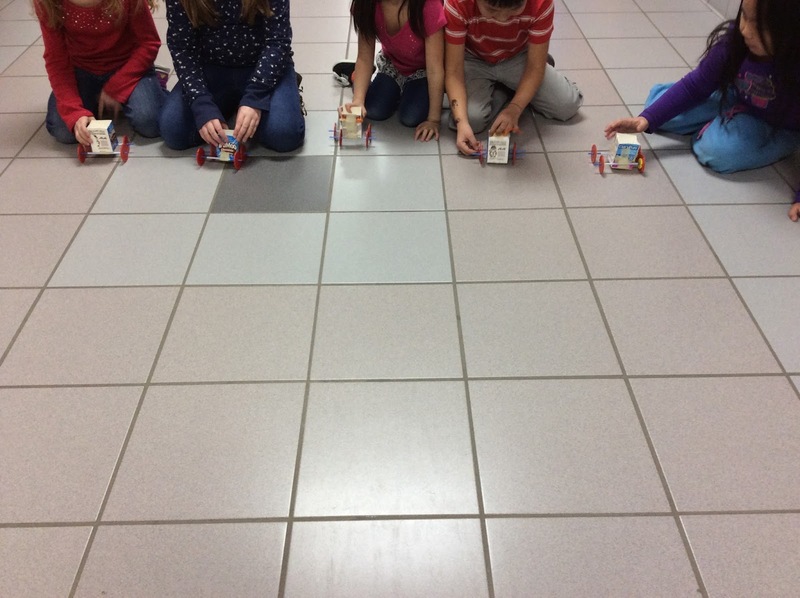 When we are all finished we start our engines...race to the checkered flag...and wrap up out day with a reflection sheet!